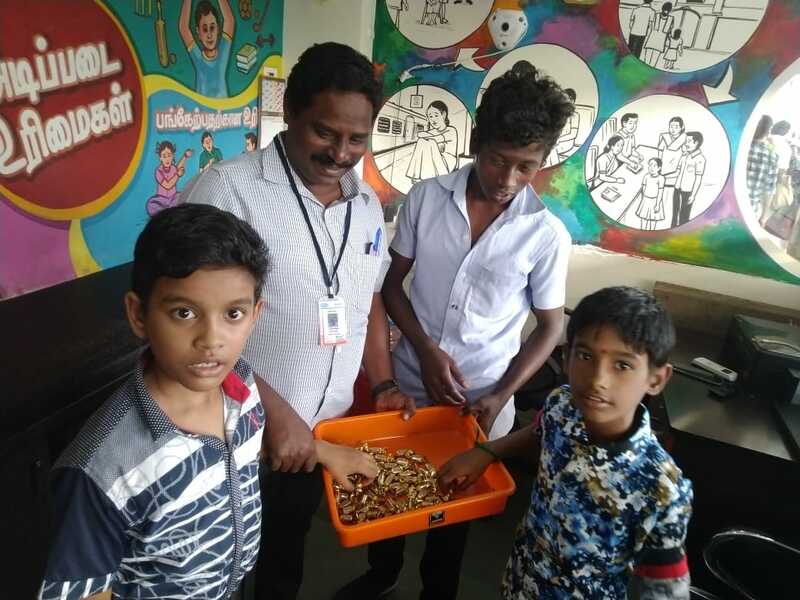 NGO News blog, NewsLine: SEVAI-RCI–CCRS project celebrated Children’s day-2018 in Trichy Railway Junction. 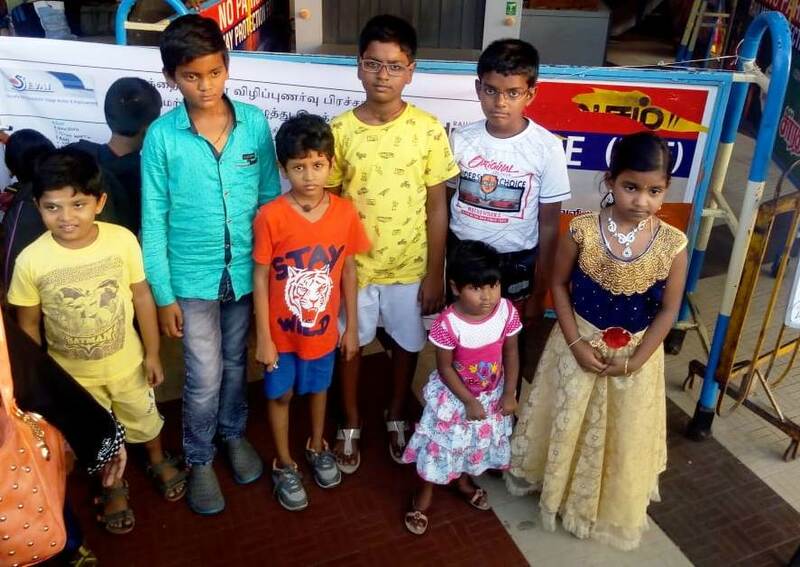 SEVAI-RCI–CCRS project celebrated Children’s day-2018 in Trichy Railway Junction. 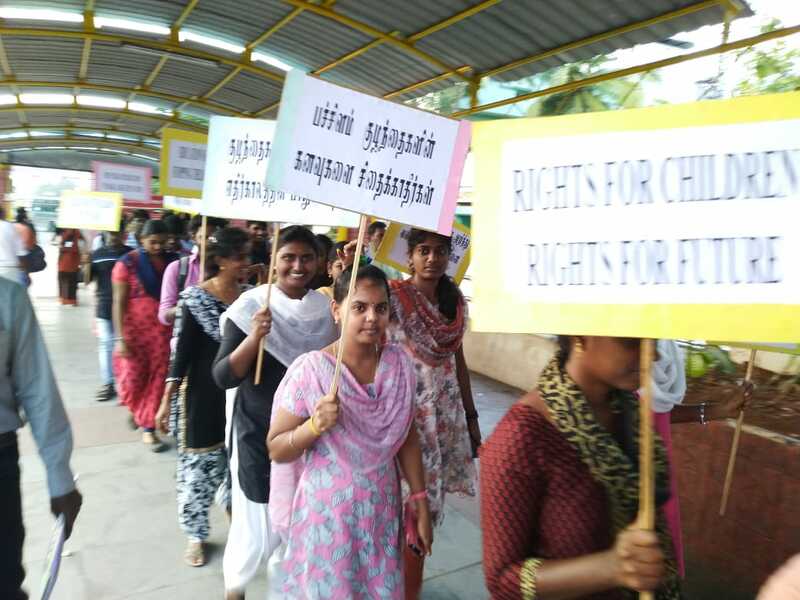 hands of their parents, through Child Welfare Committees established by Law and follow it up for reuniting these children with the parents as per the interest of the child. This CCRS Project is being implemented by SEVAI-RCI as per the Standard Operating Procedure (SOP) for Railways to ensure care and protection of children in contact with Railways jointly developed by Ministry of Railways, National Commission for Protection of Child Rights and Ministry of Women and Child Development. 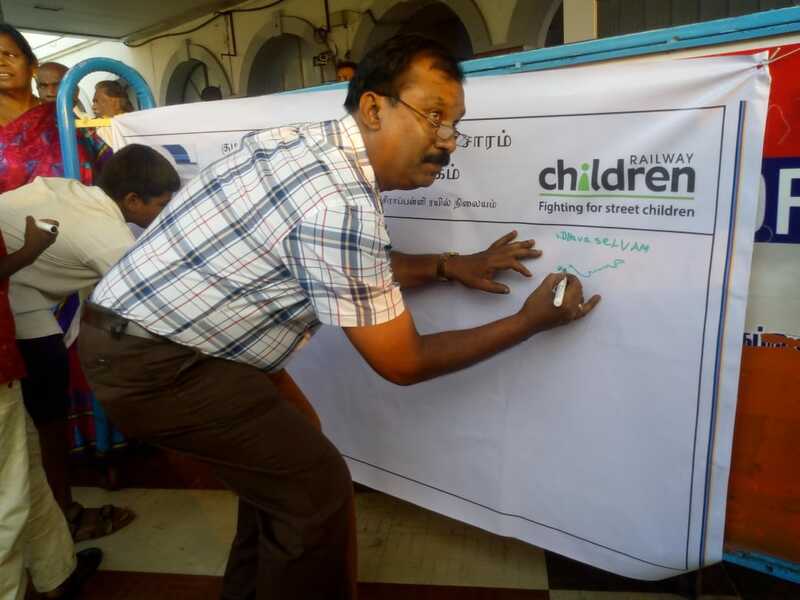 The Associate Director of SEVAI also thanked Railway children India, SEVAI-RCI Staff members, Railway Authorities and stake holders and public and students those participated in Rally and children and their parents those participated in signature campaign and other associated children’s day celebrations. Out reach Coordinator,Murali Kumar made arrangements for in Child Assistance Booth.Earlier, Children Day celebration was organised in Open Shelter run by SEVAI-RCI near Central Bus stand.- Kris.